A classic wrap dress with a slightly tulip-shaped skirt with a below the knee length, our pleats on the front waist provide ease and in-seam side pockets. This dress also features an elastic waist and fastening with wide wrap ties. This pattern comes with sizes US 0 to 18 (EUR 32 - 50, UK 4 – 22). This is an average/advanced level sewing pattern. 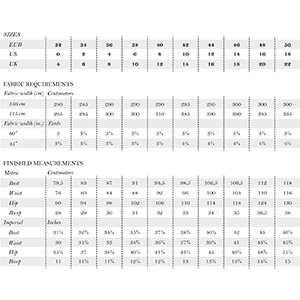 Suggested fabrics are cotton lycra, lycra spandex, and cotton jersey.